Has anyone seen my rooster?? Fred has become a fugitive! He escaped from the frame coop yesterday, because someone didn't close up the hole in the chicken wire!! Here's more information to identify him in case you see him. green eyes, and a beautiful body of feathers. He also struts around showing off his fancy tail feathers, as he's the King of the Roost. I'm so upset that no one fixed the hole, and that he escaped! be sure to let me know. Good luck catching him! 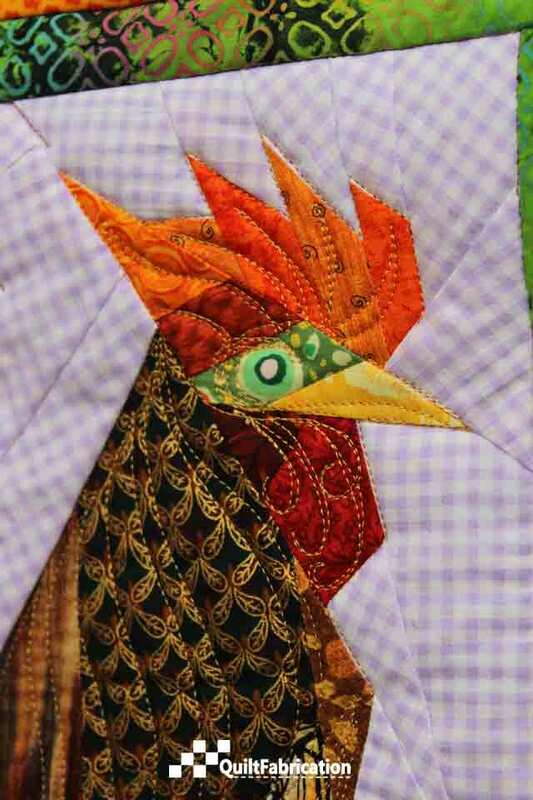 But you can have your own rooster from Ann Shaw. 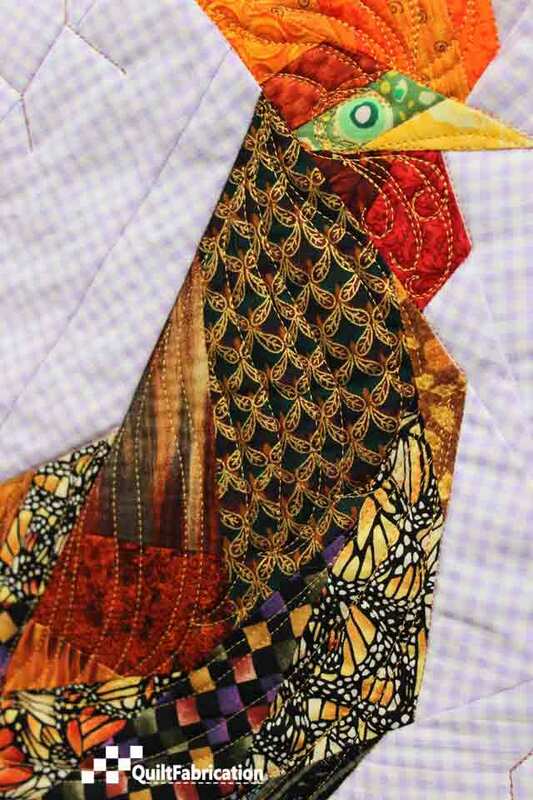 She has numerous patterns to choose from at Fiddlesticksquiltshop.com. This is so awesome....I love how he's coming out of the coop!!! He is so handsome! If he comes my way, I'll be sure to keep him safe for you. What a fun post! 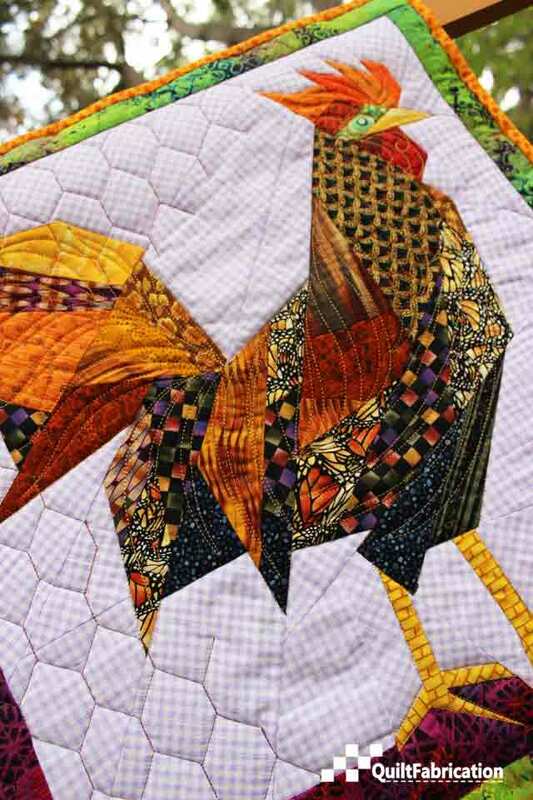 Ypur rooster is terrific!!! Gorgeous mix of colors and motifs! Fred certainly has a lot of style! Love it! 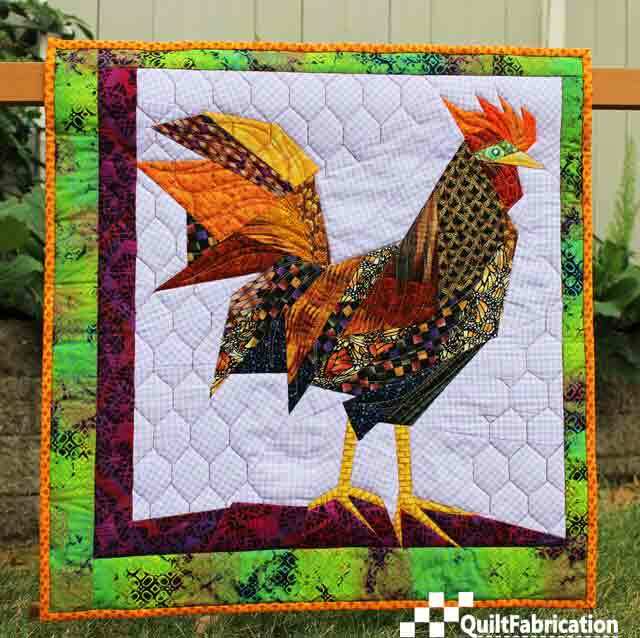 The chicken wire quilting just makes the quilt. How adorable!! Fred is quite the looker! I bet you can find dancing with Ginger. Thanks for sharing the new to me pattern site. Oh my goodness he's handsome! 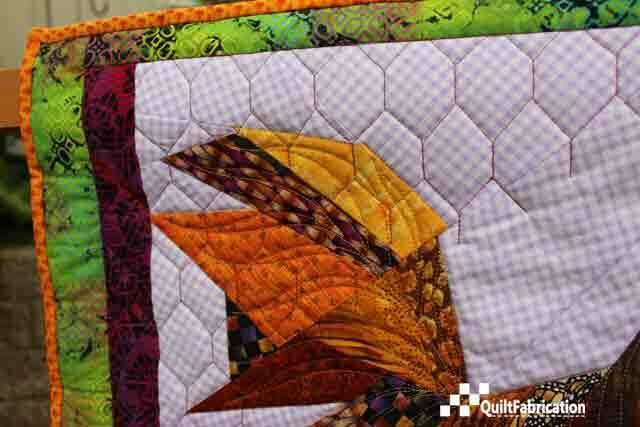 Love the quilting and fussy cut eye! What a beautiful rooster and I think I just saw him over at our neighbors house!!! 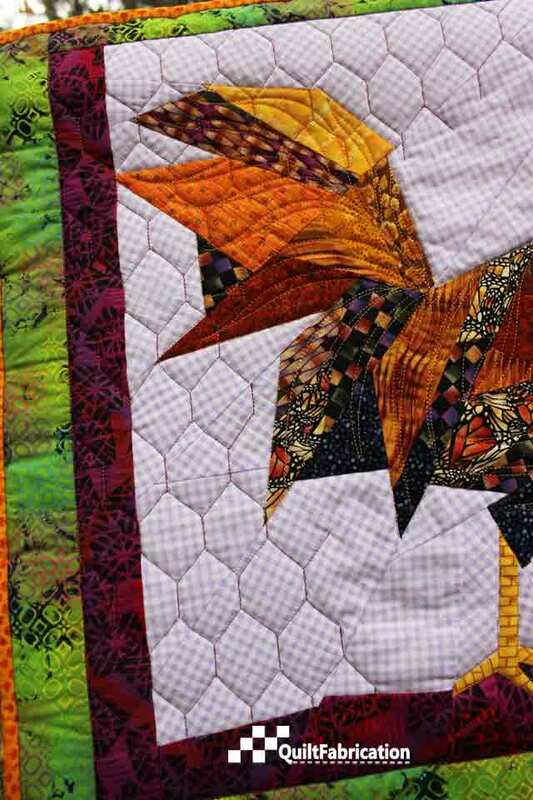 Love the quilting on him! Fab! I love the chicken wire effect in the background. Your fabric selection is the best I have ever seen. WOW. He is absolutely beautiful! Amazing! Linda says he hasn't shown up in Conway, Arkansas. If he does I have 1st dibs on filing adoption papers at the animal shelter! !